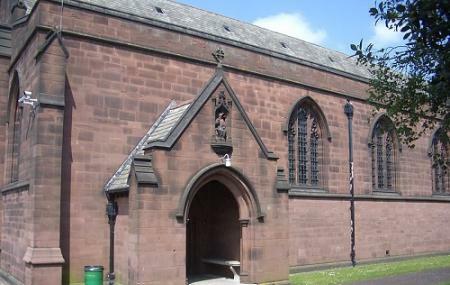 The St Chad's Church in the Dioceses of Lichfield is an Anglo-Catholic and Liberal Evangelical Church aims towards knowing Jesus and starting a new life through worship, fellowship, prayer and Bible studies. Designed by G F Bodley, St Chad's Church built with red Hollington stones, boasts of Decorated Style and is enlisted as a Grade I listed building. The church has some exquisitely crafted stained glass windows and carvings such as the rerodos depicting the last supper and the Good Shepherd. The Bell Tower of the church contains eight bells which are rung on every Sunday and on special events. The Organ with 32 stops, with features like choir, pedal, great and swell organs and tin pipes emanate magical sound.